At a town-hall event during his trip to London, president Obama offered both measured praise and criticism for the Black Lives Matter (BLM) movement. Obama was asked a question about his administration’s work to tackle racial profiling, which the president took as an opportunity to evaluate the effectiveness of Black Lives Matter. He said that was “really effective in bringing attention to problems,” the Globe and Mail reports, but said that its leaders should be more willing to work with politicians. “Once you’ve highlighted an issue and brought it to people’s attention and shined a spotlight, and elected officials or people who are in a position to start bringing about change are ready to sit down with you, then you can’t just keep on yelling at them,” Obama said. The value of social movements and activism is to get you at the table …then to start trying to figure out how is this problem going to be solved. In the 2016 presidential race, BLM protesters have clashed with both of the candidates in the Democratic primary. In August, BLM protesters shut down a Bernie Sanders rally after two women interrupted the Vermont senator, grabbing the microphone and delivering a speech about the “white supremacist liberalism” of the city of Seattle. “If you do not listen … your event will be shut down,” the protester told the rally organizer. The takeover of the rally has provoked a backlash from many of Sanders’s white supporters, both at the event and online. Sanders gave the microphone to the protesters and left the rally. Clinton has fared better with the movement, although she still catches flack for the passage of the 1994 incarceration bill, which her husband had signed into law as president. Obama has personal experience as a community organizer during his time in Chicago during the 1980s, when he would organize members of working class neighborhoods to protest. 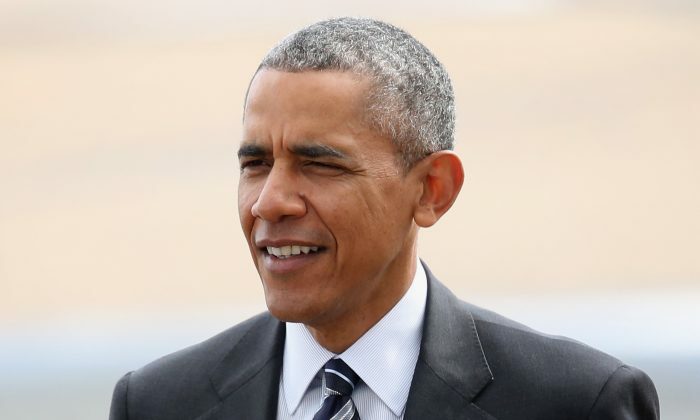 “You then have a responsibility to prepare an agenda that is achievable, that can institutionalize the changes you seek, and to engage the other side, and occasionally to take half a loaf that will advance the gains that you seek, understanding that there’s going to be more work to do, but this is what is achievable at this moment,” Obama said.